Heading into the final week of the season, many teams are fighting with everything they have for those few coveted playoff spots. For those of us who are eliminated, however, their are always the stat books. Remember, there is no “I” in team, but there are a few in individual awards. Conor McGregor, of Los Pumas, is faster than most gutter runners. In fact, with 10 TDs on the season, he has already flown past the 8 TDs with which Juken’, of Skuttle Butts, led the League after 8 regular-season matches last year (although Conor is still 3 short of Varil’s total before the latter was fired from The Frozen Thrones after a Week 7 injury; but players must be active through the last match of the regular season for their stats to count towards individual awards, so Varil’s didn’t count in that 8-game regular season) but if you can catch him, you probably can’t take him down by yourself. Only 2 TDs behind him is Praag no5 team’s Tom. 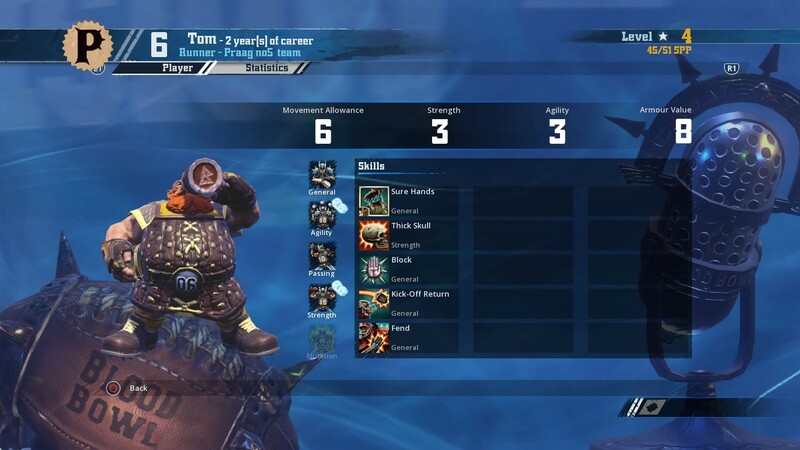 Tom, of Praag no5 team, is barely outpacing his competition with 358 running yards, and is still far from the 420 yards with which Juken’, of Skuttle Butts, finished S3. Hot on Tom’s heels is The Green Tide Titans’ Gorbag Marlarr, with 356 running yards. Nimphenien Aladanae, of Thee Grandiose Gladiators, by 16 yards this season. Both are already past the top S3 mark of 126 yards set by Lilriorn of the Darvi Bloodwings. 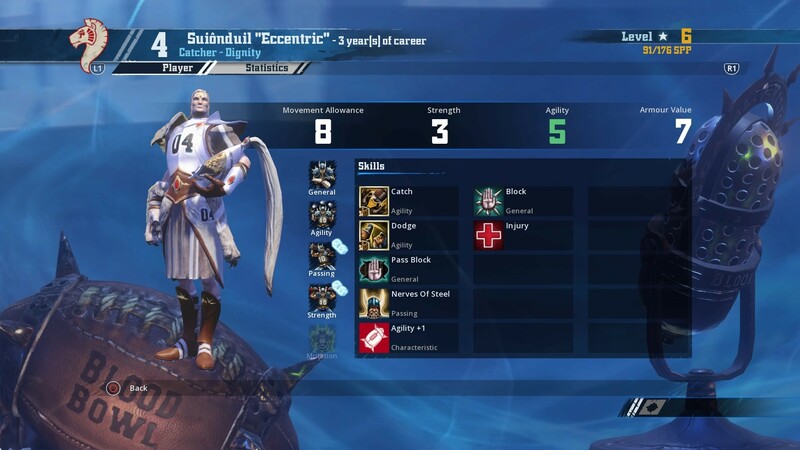 Jealousy is especially thick between high elves, however, so look for both to try to outshine each other in the final week of the season! 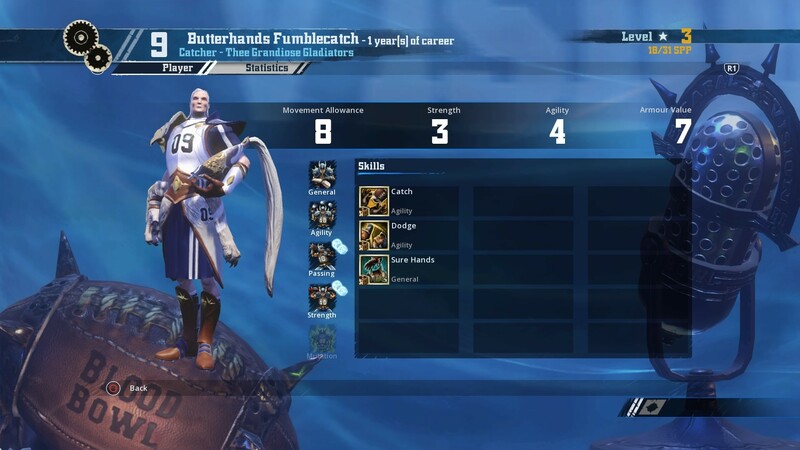 Butterhands Fumblecatch, of Thee Grandiose Gladiators, is irony personified, with 6 catches on the season (already tying the 6-catch mark set after 8 weeks in S3 by teammate Rhasscaeon Aldaloth; as well as Zarniss, of the Loren Rockets; and Zeshuir, of the Seathiel Treehawks). Looking to take the receiving title out of his hot hands, however, are elves of every kind, with 5 catches each: Banlaen, of The Blitzkriegers; Greased Up Deaf Guy, of Stop Rolling Ones!!! ; and Aldaloth. 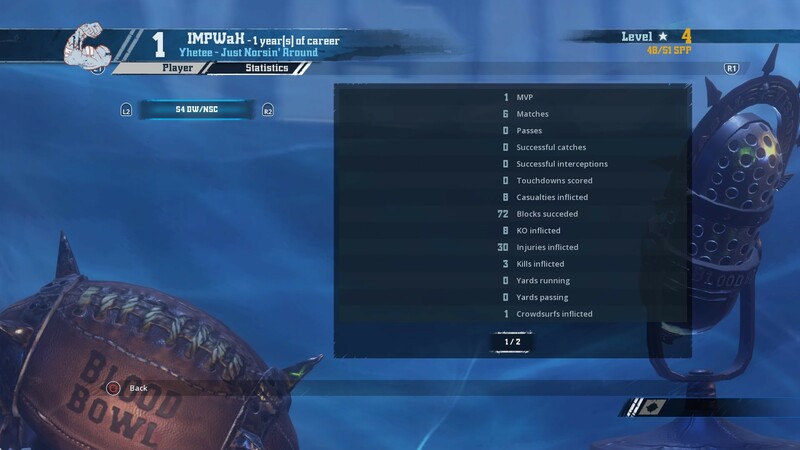 IMPWaH, of Just Norsin’ Around, leads the League in knockouts, with 8 to his credit. He is 2 short of the S3 mark left behind by the Skuttle Butts’ Decapitator and the Bill COWher Power Hour’s Knob Creek. 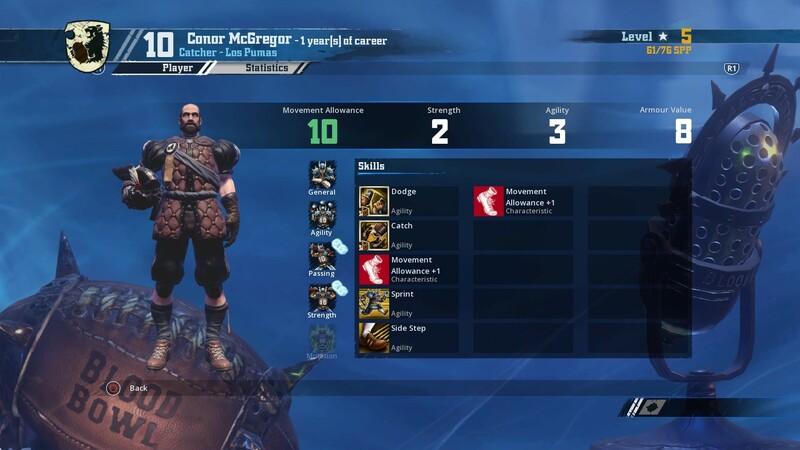 However, 3 other brutes are only 1 knockout behind him: Snow, of the Champions of Valhalla; Nice ‘N’ Sticky, of Just Norsin’ Around; and Doric Ratsmasher, of the Granite City Grimbeards. Wade, of Leaping Lizard, has really stepped it up in the violence department this season, inflicting 12 casualties in just 6 matches. 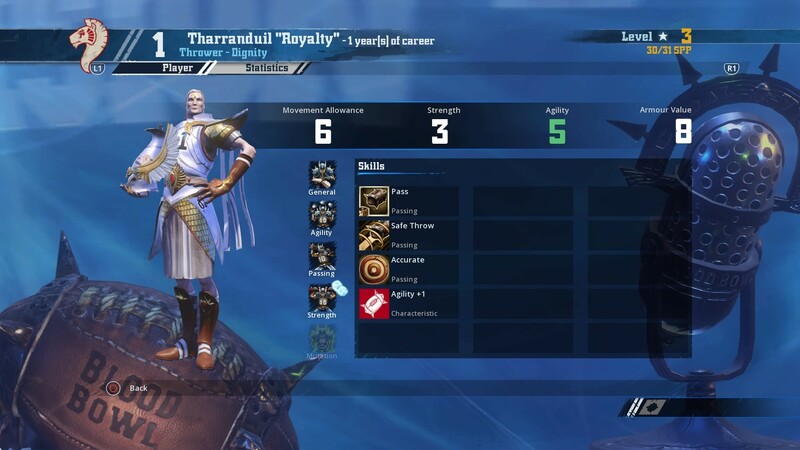 He has already surpassed his league-high 10 casualties inflicted in S3. The next most-violent player is Just Norsin’ Around’s IMPWaH, who has inflicted 8 casualties this season. IL: Braduk Break’Throat (7), of Wrecking kru; In His Rearview: Gutrad (4), of Wrecking kru; Knob Creek (4), of Bill COWher Power Hour; and Terry Bruise (4), of Stop Rolling Ones!!! 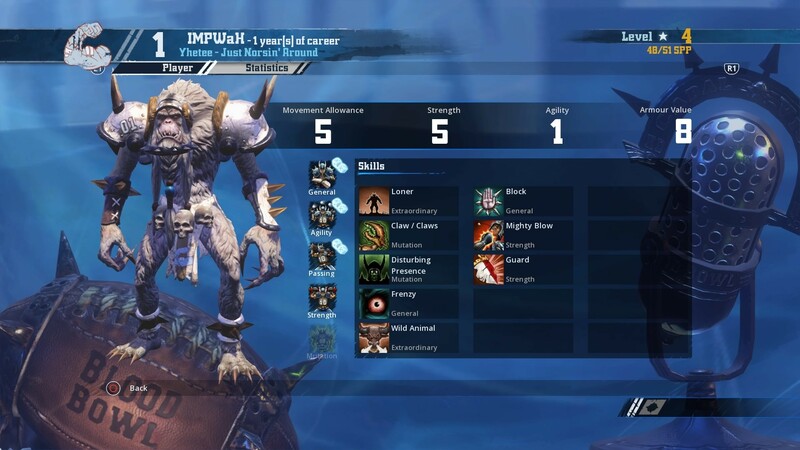 IMPWaH, of Just Norsin’ Around, has killed 3 players in 6 games, which is 1 higher than the top S3 mark (set by Velstadt, Royal Aegis, of The Bell Keepers, and Robshank, of The Green Tide Titans, over the course of 8 games). 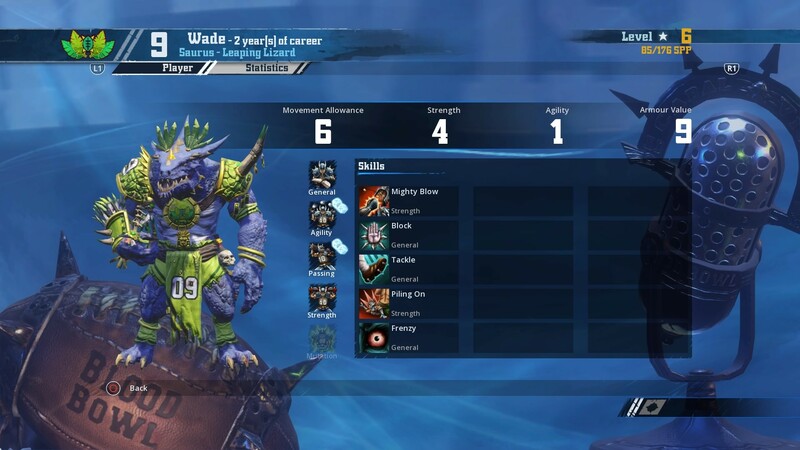 Grubnash Bruis’Hand, of Yate Yobz 2.3, is the only other player to have killed on the field more than once this season; he has 2 kills. 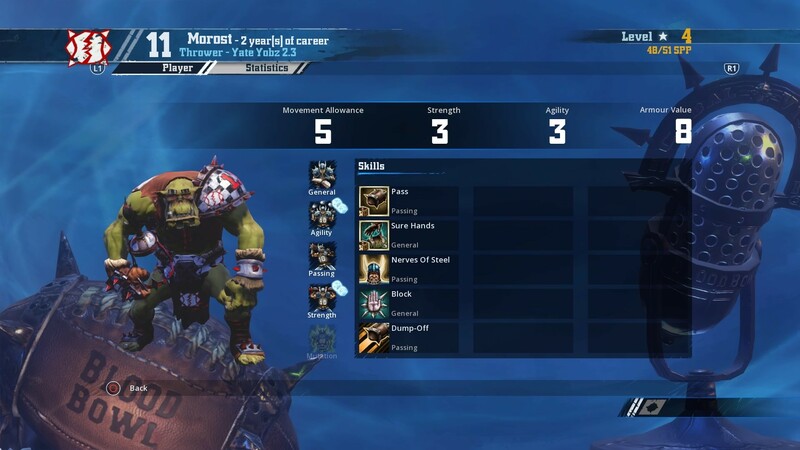 Just like last season, there are only 3 interceptions this season, and they belong to an elf, a dwarf, and an orc. Go figure. 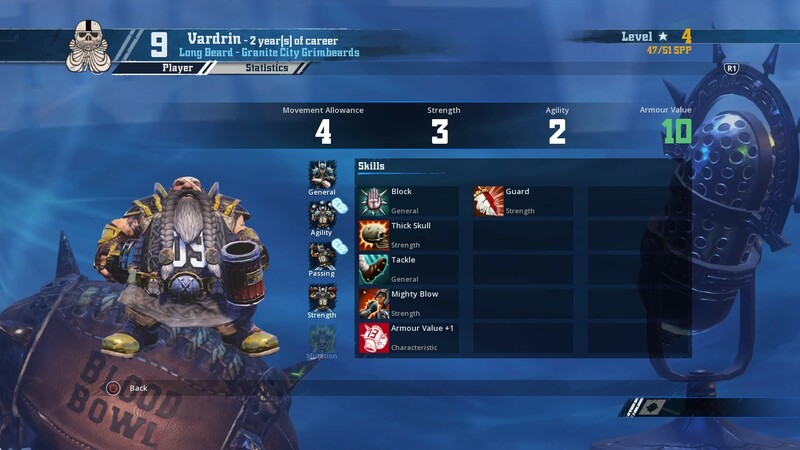 This season’s ballhawks so far are: Eccentric (1), of Dignity; Vardrin (1), of Granite City Grimbeards; and Morost (1), of Yate Yobz 2.3. The players leading this list probably have something wrong with their brain by now. 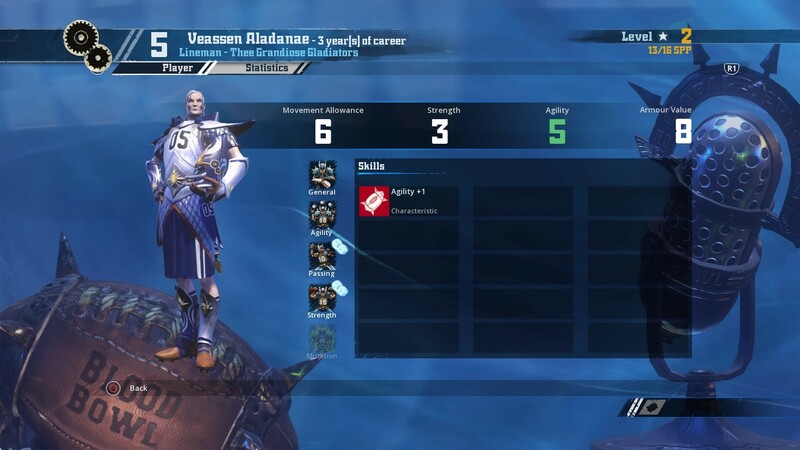 Veassen Aladanae, of Thee Grandiose Gladiators, has been knocked out 6 times this season! Last season’s high, after 8 matches was 6, as well. Always a good teammate, Longrod von Hugendong joins his Aladane for naptime often, having been knocked out 5 times himself this season. Written by: Serious Jest on August 8, 2016. Haha I wish there was a Dirtiest Player category. Yay! No playoffs for SRO but have have a couple division leaders! Glad you enjoyed them, fellas.